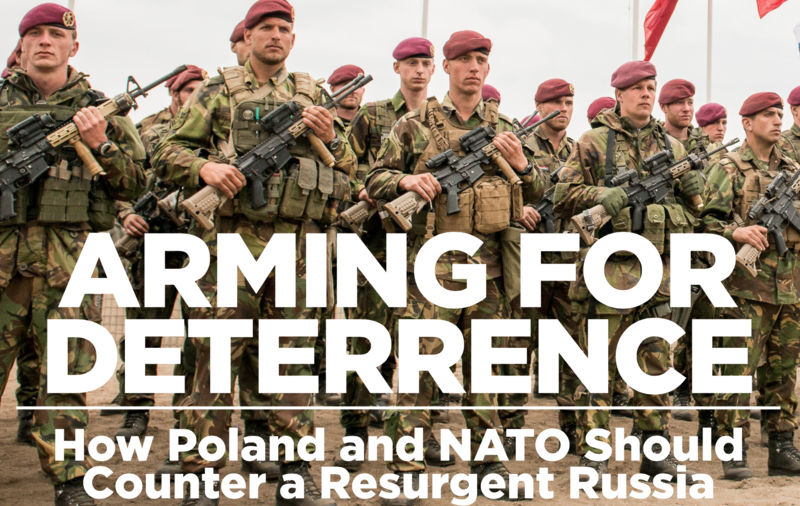 The sales pitch is titled “Arming For Deterrence.” The Kremlin is unpredictable, say the arms salesmen, and could at any moment decide to attack Poland. However the Russian regime “respects a show of force” and would back down if Poland has a sufficient inventory of US weapons. Poland also needs to be able to strike deep inside Russia and for this needs to purchase American long-range JASSM air-launched cruise missiles, the Navy Strike missile coastal missiles, and the Guided Multiple Launch Rocket Systems. The bill for this deterrence against non-existent “Russian aggression” comes to “some US $26 billion” on top of planned expenditures of US $34 billion. “Poland should move forward expeditiously with procurements,” say the arms salesmen or risk being attacked by superior Russian forces. The zionist neocons get away with their warmongering because it is profitable for the US military/security complex. Whereas the crazed neocons want real war, the military/security complex only wants the propaganda threat of war. The numerous military/foreign policy think tanks funded by the military/security complex provide the propaganda and made-up threat. This is a dangerous game, because the Russians see a real threat in the hostility that is directed at them. The anti-Russian propaganda is universal and includes the Olympic Games. Washington wants Russia excluded based on the allegation that only Russians take performance-enhancing substances. What extraordinary nonsense. I have a relative who travels widely to test athletes of every sport, even golf, for the use of performance-enhancing substances. There are many non-Russian athletes who have histories of using performance-enhancing substances. It is not the Russians who have corrupted “clean sports.” It is the money that the corrupt Americans have poured into sports. To be a champion, to win the Masters at Augusta National, to win a gold medal means to be a multi-millionaire. Sports that people once played for enjoyment are now a lucrative profession. Money corrupts everything, and it is capitalism that turns everything into a commodity that is bought and sold. In capitalist regimes everything is for sale: honor, integrity, justice, truth. Everything is reduced to the filthy lucre.